A 'Preity' Good News - There's Another Celeb Baby On The Way! Bollywood actress Preity Zinta has been enjoying her married life to the fullest. Preity, who tied the knot with her Los Angeles beau Gene Goodenough on 29th February 2016, has not made any big screen appearances since. However, the actress gives us a glimpse of her life after marriage through social media. 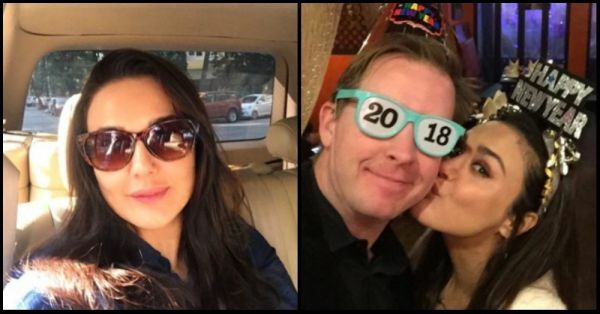 Be it her recent trip to South Africa with her in-laws or her New Year celebration in the United States, Preity's life is at an all-time high. The news about celebrity pregnancies spreads really fast - take Bipasha Basu for example, who was speculated to be pregnant recently. But Bipasha and her beau Karan Singh Grover clarified the news in no time. However, there is no confirmation or denial by Preity about the speculation. But if the buzz is true, it's a great news for all her fans out there. Preity and Gene are one of the most adorable couples and they've always managed to give us major relationship goals. Not much is known about her and Gene's affair, but in a recent interaction with fans, Preity revealed that the two of them met a few years ago in Los Angeles. They dated for five years before finally tying the knot. Preity seems to be utterly happy and content with her life. She made it big in Bollywood, then moved on to be a successful businesswoman and finally married the love of her life. After such a fulfilling journey, it'll be great to see Preity embrace motherhood. We wish her the best of everything!